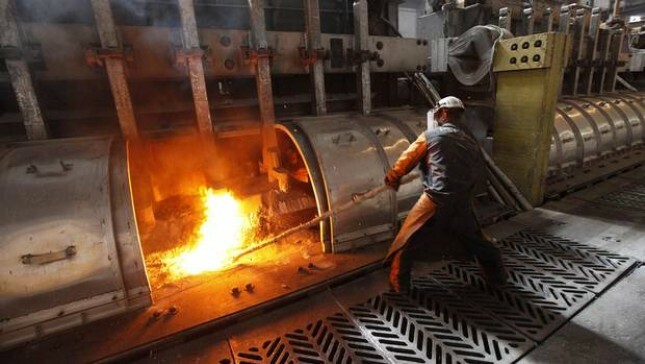 INDUSTRY.co.id - Jakarta - The Ministry of Energy and Mineral Resources (ESDM) has offered six metallic mineral mining areas to State-Owned Enterprises (BUMN) and Regional Owned Enterprises (BUMD). The area to be auctioned is the result of a shrinking from that set in the contract amendment. Director General of Minerals and Coal Ministry of Energy and Mineral Resources Bambang Gatot said the six mining areas on offer have entered the list of auctions of former mining contractors holding Contract of Work (COW) and Coal Mining Concession Working Agreement (PKP2B) to be conducted by the central government. Before auctioned, mining area is offered first to the state and local enterprises. "Because this is a priority offer to state-owned enterprises," said Bambang, at the Office of the Ministry of Energy and Mineral Resources, Jakarta, last Thursday (21/6). According to Bambang, the mining area to BUMN and BUMD has been done before Idul Fitri. Currently, his agency is still waiting for a response from SOEs and BUMDs that got an offer. "It has been offered tidanggal aja have been sent, long before Lebaran," he said. According to Bambang, BUMN and BUMD that have been offered mining area are given opportunity for 30 working days, to take the decision to manage the mining area offered. "There is no rule how many tens of days 30 working days, there will be a requirement, will be willing based on what aspects of the requirements are also met," he said.